Like other mental health conditions like bipolar disorder and depression, obsessive-compulsive disorder (OCD) can significantly increase the risk of drug or alcohol addiction. This is, in large part, because people with OCD frequently turn to self-medication to deal with the symptoms, which can lead to a dangerous pattern of substance abuse. OCD is characterized by a repetitive cycle of obsessive thoughts that spur afflicted individuals to engage in compulsive behaviors. 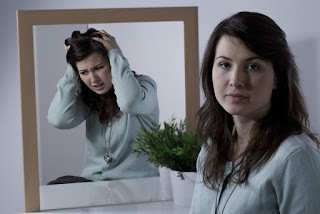 These obsessive thoughts can become so intrusive and overwhelming that the person feels powerless and out of control, and the compulsive behaviors represent attempts to relieve them. While the condition can be managed with professional guidance and treatments including therapy and medication, those who do not have their OCD under control often turn to alcohol or drugs in an effort to chase their obsessions away. Drugs and alcohol can provide a temporary, though unhealthy, escape from the afflicted person's overpowering obsessions. This can lead to addiction, since the patient may turn to substance abuse more and more frequently in an effort to compensate for the increasingly ephemeral relief drugs or alcohol may provide. Research has also conclusively shown that while alcohol and drugs may offer short-term relief from anxiety, depression and other OCD symptoms, they actually make these underlying problems worse over time. The caring addiction counselors at Complete Harmony have extensive experience treating OCD-related cycles of substance abuse. Using cutting-edge holistic and alternative therapies, the Complete Harmony team helps OCD patients take control of their condition and more effectively manage its root causes using healthy, reliable strategies. Combining OCD therapy with addiction treatment, our program is highly successful. If you or someone you care about is struggling with OCD-related substance abuse problems, we can help. Please contact our intake specialists to learn more or request information about our dual-diagnosis treatment programs.